It’s currently the middle of January and Winter is still here with the extra bonus of a biting cold wind. 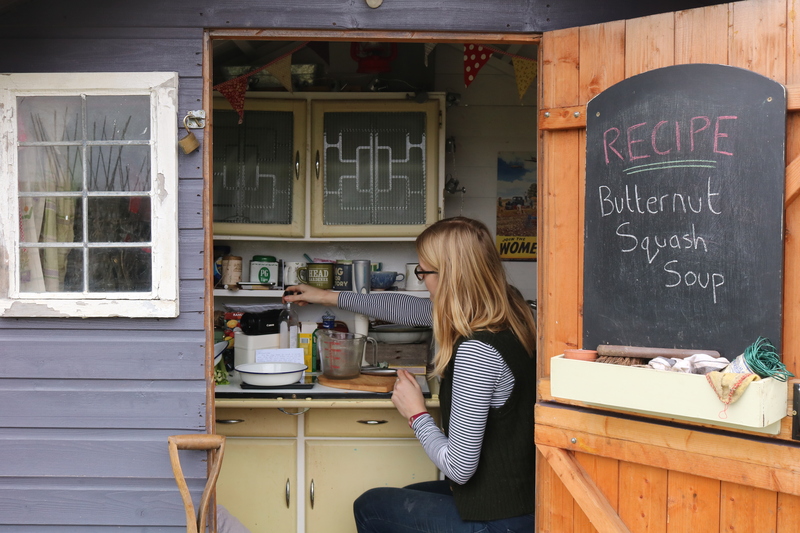 I headed up the allotment early one morning to do a few tasks and I was looking forward to a special lunch time treat. You just can’t beat coming inside to a nice hot bowl of soup and today I was making my all time favourite… butternut squash soup. 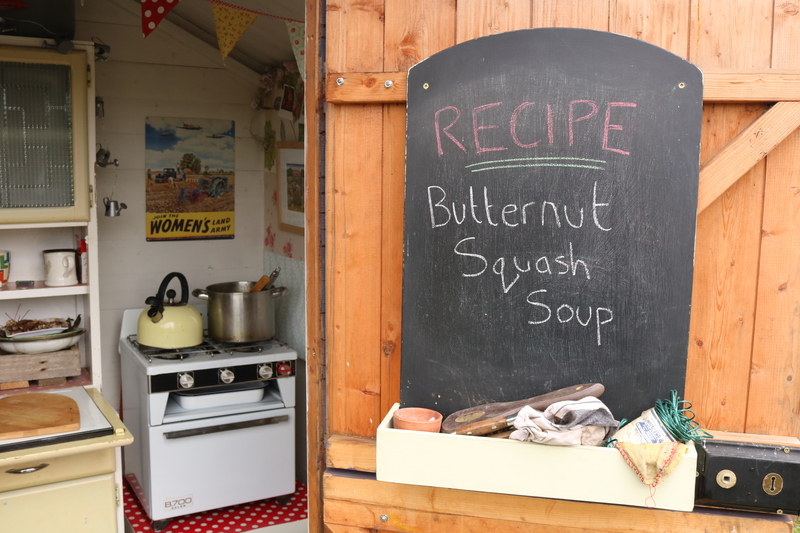 Soups are one of the easiest things to make and maybe the most rewarding, they not only warm your entire body up but can be made with a vast amount of vegetables that you can grow yourself. I happened to have 2 butternut squashes left over from the Summer, they’ve been sitting in the shed since then and have slowly been used in various recipes. 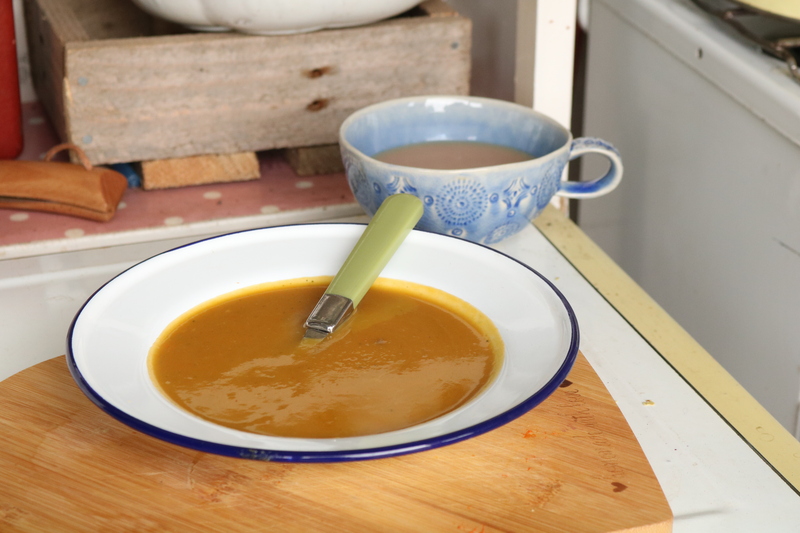 I’ve shared the butternut squash soup recipe below and there will be a video over on Youtube very soon too. 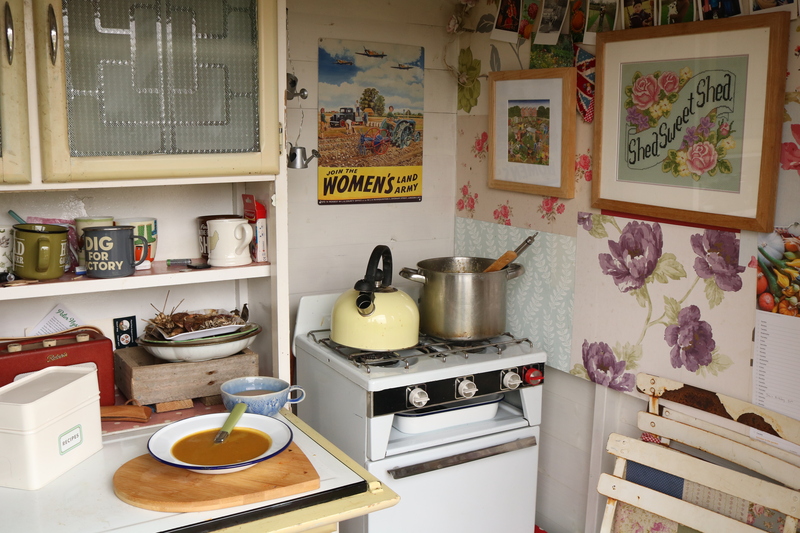 I hope you all enjoy the soup and don’t get too cold working in the garden! Cut up the onions, garlic, celery and carrots and fry on a pot with some oil for 10 minutes. Add the vegetable stock and chunks of butternut squash and leave to simmer for 30 minutes or until the squash is soft. Use a hand blender to create a smooth soup, season and serve. Wonderful timing! 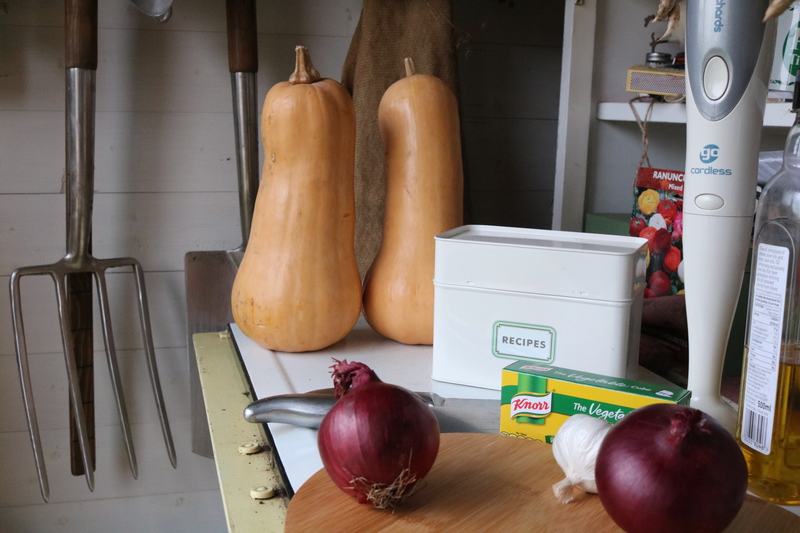 Squash and all ingredients ready to go…just wondering what to do for lunch that was nourishing, tasty and non fattening…off to the pressure cooker for speed…thanks Katie. This afternoon going to the nearby field for farmer’s manure and scatter it on my Hyacinths, snowdrops and daffy peeping through, so exhilarated to see some ‘spring’ flowers. Thoroughly enjoying The Apothecary book…need to be able to identify some of the herbs more accurately though. Bought a little china heart shaped ornament with tiny pink roses on it, going to fill it (its hollow) with Lavender seeds and pop a tiny bit of muslim over the aperture. All ideas from your site Katie, takes some of us through the winter that need a ‘lift’ through the Northern cold weather. Hello Barbara and what great timing indeed, I hope you liked it. I need to get some manure myself so thanks for the reminder! Isn’t the book great? I’ve recently bought one called ‘Infuse’ by Paula Grainger and Karen Sullivan which is similar but all about herbal teas, I love it! Thank you again and stay dry! I made the soup . It was delicious! I only had enough for half the recipe. It still made alot. Thank you for sharing it.